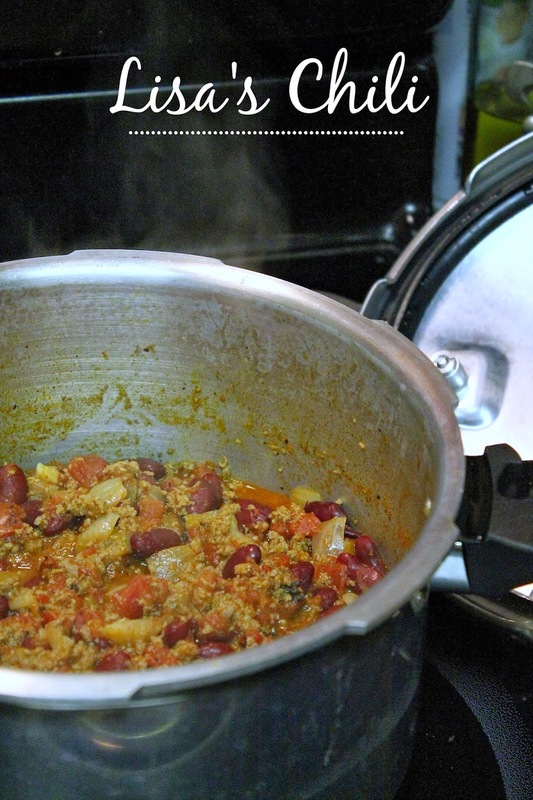 Sometime last year I posted my mother's Chili recipe for the first time, without the photos though. So the other night when I was making chili for the 10,000th time I thought I'd break out the camera and attach a photo to the post. I'm chili picky, and not traditional Texas chili picky. I want beans in mine. Almost like a Taco Soup with different seasonings. A few weeks ago I had planned to make or beloved chili recipe that takes all day in the crock-pot, but got to work and realized I never put it together. So when I got home I quickly defrosted the meat and tossed it in the pressure cooker. 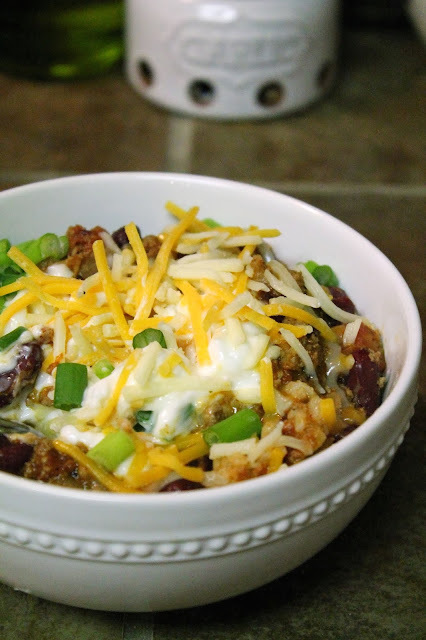 Same amazing chili, in less than 30 minutes. To start brown your saute your onions and brown the meat. I used turkey this time. I know a lot of people like to do these seperate, I however have always started the onion and then tossed the meat in to save time. I can't tell a difference in taste. Don't forget to add the garlic right before the meat is browned all the way, and don't let it burn. After your meat and onions are cooked through toss in everything else... like you see in the first photo. 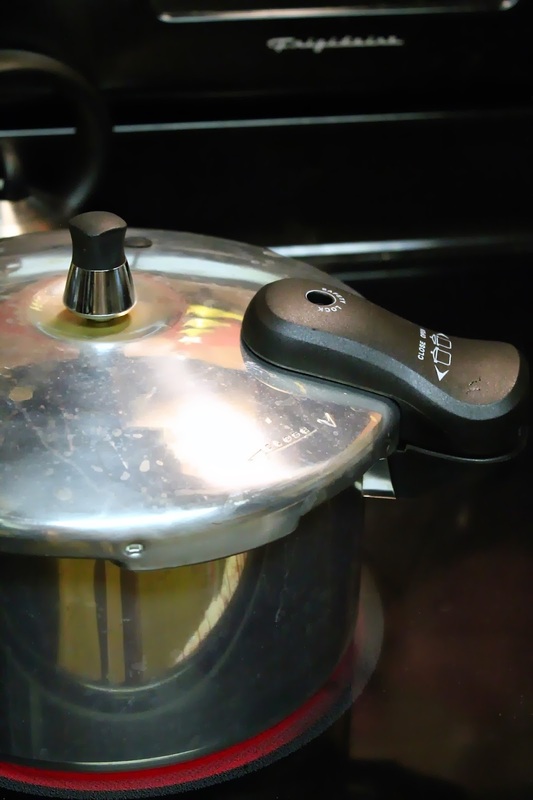 Attach your pressure cooker lid, correctly or you'll regret it. Turn the heat up to high and let it go until you begin to see steam and the little bobble thing (that's what I call it, I know it's not correct terminology) bobbling around. Once you get the cooker going and the cooker has locked itself, that's something mine does, turn the heat down between medium and medium high. You may have to adjust throughout to keep the temp high enough to had your bobble gauge jumping around and squealing the whole time. Once you're set, set the timer for 15 minutes and let it go. Aftert 15, unscrew the steam bobble thing and let the steam release, quickly lowering the pressure. Do not open the lid before the pressure is completely down, it's be a hot mess. 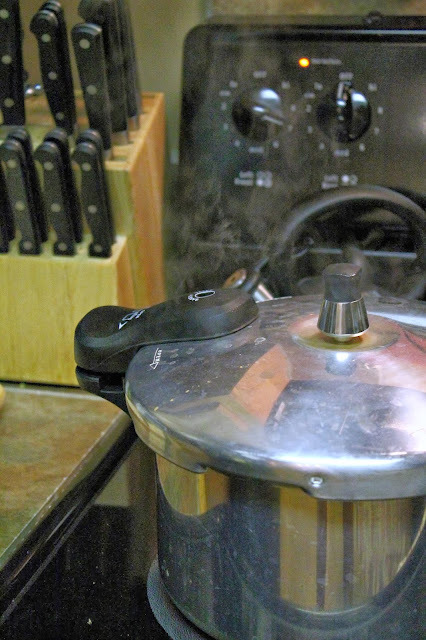 Also remember, even though the pressure is down there is still a lot of steam, open the lid away from your face. Serve this up with rice, sour cream, cheese, green onions, and enjoy! Brown meat with onions and garlic. Drain off fat. Mix with the rest of the ingredients in a crock pot and 8-10 hours, or follow the directions above to make in less than 30 minutes in a pressure cooker. Serve with rice, green onions, sour cream , and shredded cheese (optional). This recipe can easily be doubled! 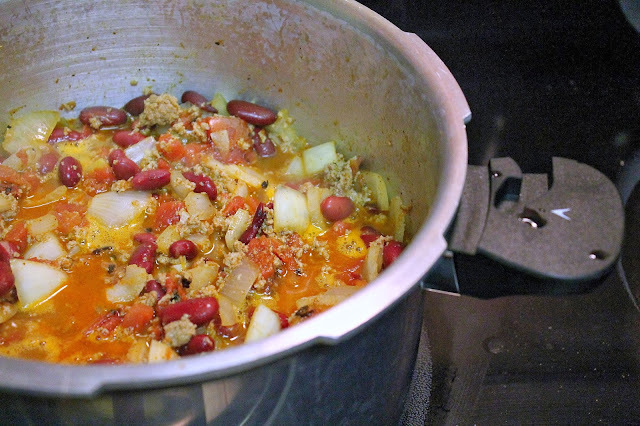 To save money you can reduce the beef to half a pound and add more red beans or other types of beans to the mix. This is another recipe that will go a long way when served with rice and bread ( I usually make Jiffy corn muffins). The only real expensive ingredient is the beef and optional toppings...and that is why they are optional. I only use them if I have them on hand or if I feel like spending the money on another overly priced bad of shredded cheese. We ate this a lot during the fall and winter as kids and it went a long way for a family of 4 with a lot of rice involved.